Talos Missile Launch photograph for sale as Fine Art. 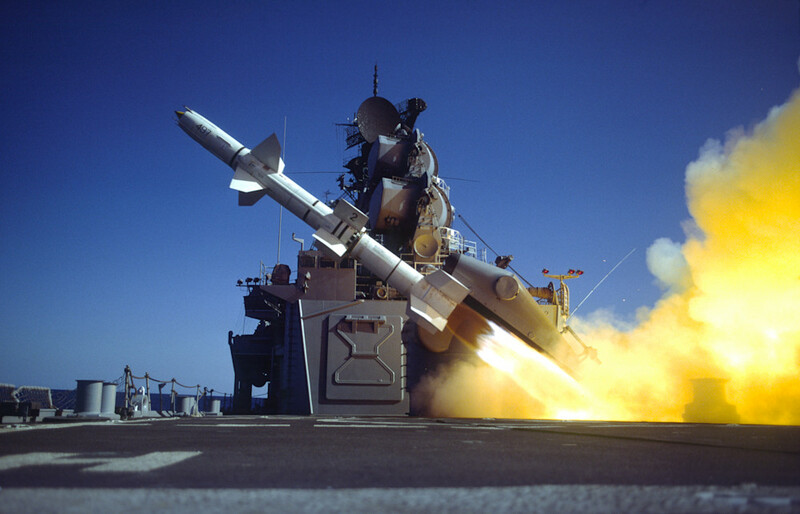 Talos missile shot from the aft missile house of the heavy cruiser, USS Chicago, CG-11. The Talos missile was a yard wide without the wings & fins, and 30 feet long with the booster, which fell off about 5 seconds after launched - once it accelerated the missile to Mach 2. The Talos was a surface-to-air missile with a range of over 100 miles.